I'm probably jumping the gun as I wanted to research this a bit further before saying anything too rash but hey-ho, a quite snow-bound morning so I'll open it up to opinion. 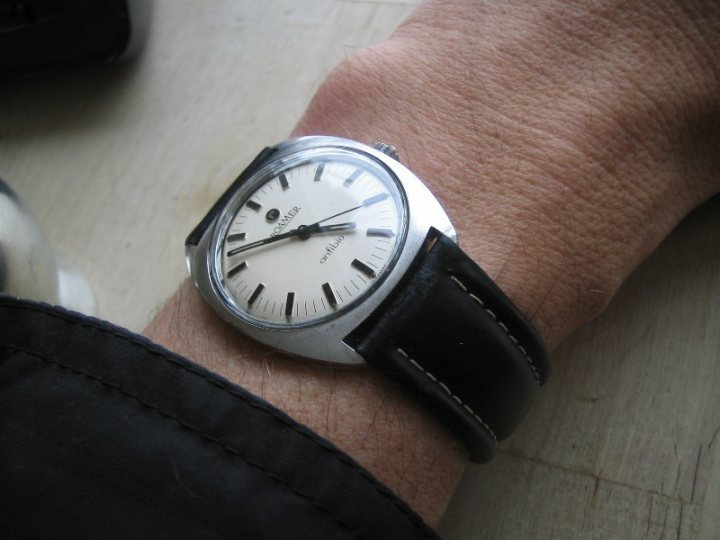 The Roamer Anfibio watch was issued to Rhodesian forces during the seventies, these, as far as I can see, were all black dialled and marked with either the ZA or RA issue numbers (plus the occasional SFA (?) marked ones for auxiliary or reserve forces. 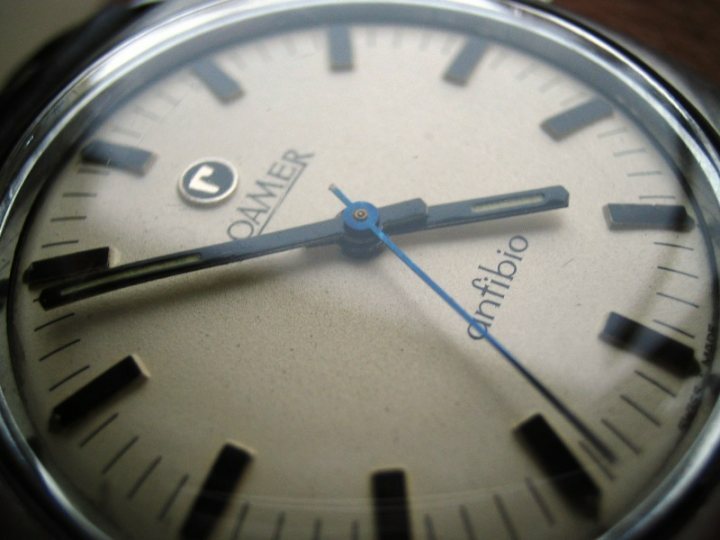 This one has neither an issue marking nor a black dial, however does date from the late sixties/early seventies. The watch was bought at an auction near Hereford recently, it features an British Army service/serial number (i.e. the service number of an individual) that dates to between 1968/69. (http://www.arrse.co.uk/wiki/Service_Number). It also features the name 'PUGH'. I guess the next step is to track down the 8 digit, post 1950 service number to ascertain whether the PUGH on the back of the watch is indeed PJ PUGH, which is where I'm at now. It was common for UK SF to exchange between the squadrons/commonwealth forces at the time. I have no idea whether this watch was issued to PUGH or whether it was bought over in SA at the time and he wanted his service number and name engraved on the watch or whether indeed it's a different PUGH (Catering Corps?!) altogether who just happened to like the Roamers and just had his details engraved. Perhaps it was a keepsake of his time in SA/Rhodesia that he engraved on his return to UK....lots of possibilities I suppose. So, perhaps nothing, perhaps a curiosity if nothing more or perhaps a terrible con*, who knows, but I'll try to find out so any pointers or comments are more than welcome, as ever. Last edited by andy_s; 12-03-2011 at 17:30. "Pete Pugh was Signals Corp attached to Csqn SAS late 1969, he passed SAS selection course no 6/1970, aged 23. Records show that he never served in the UK army. Regretfully, he was killed in a car accident outside Harare Zimbabwe 1981." From the UK angle, I've also confirmed that there is no Pugh listed at that time on the regimental Association membership records at Hereford; the person who gave me this info added that this doesn't mean that he wasn't in the regiment, just not the association, although in light of the above, it seems that it's a blind alley anyway. I'll try and find out more from the UK side by the service number anyway, just out of curiosity, but the main link with South Africa now seems defunct.